This recently developed Park offers seclusion and tranquillity, for statistics, touring caravans, motor homes and tents. Glenearly is situated in open countryside with beautiful panoramic views taking in Long Fell, Maidenpap, Barhill and Delabeattie Forrest. Set within 84 acres there is an abundance of wildlife on view with many varieties of birds. Buzzards, Yellow Wagtails, Goldfinch and Woodpecker being some of the species making themselves at home. You might even be lucky and see a fox or a deer. Facilities include thistle awarded self-catering holiday caravans. A modern centrally heated toilet block with free showers and hot water. Fully equipped coin operated laundry/washing up room. Disabled/family suite. Children’s play area and dog walk. The centre of Dalbeattie is a pleasant 10-minute walk from the Park and is the shopping and amenity centre for this popular part of the Solway coast. The attractive beaches of Sandyhills and Rockcliffe are within 7 miles where you will find the cliff top walks with magnificent views towards Cumbria and the Isle of Man. Other activities available locally include pony trekking, mountain biking, forest walks, fishing and tennis. Directions: from Dumfries take the A711 towards Dalbeattie. Go through Beeswing and continue for 6 miles. As you approach Dalbeattie, pass sign for Edingham. See sign for Caravan Park. Entrance is on right 300yds before town boundary. A warm welcome awaits you, so come and pay us a visit. 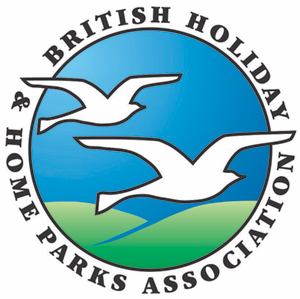 Quiet family run park ideally situated for touring the Solway Coast. Well hidden from the A711. Handy for amenities in Dalbeattie. AA 4 pennants. STB 4 Star. Turn off A75 at Dumfries signposted Dalbeattie, keep on the A711 and 200 yards on right before Dalbeattie sign turn into entrance.